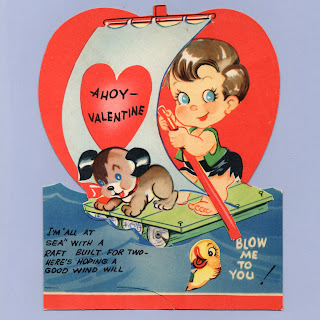 Ahoy Valentine I'm ALL AT SEA with a raft built for two - Here's hoping a good wind will BLOW ME TO YOU! I Love you - I would sail the ocean blue Sweetheart just to be with you. My Love - I can SEA You as My Dear Valentine. 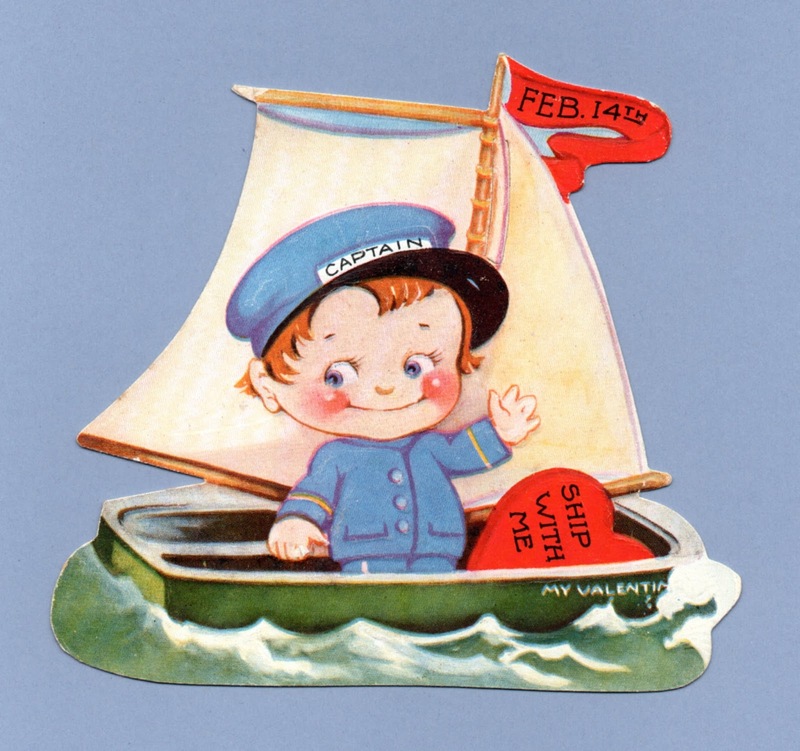 My Valentine - I'd like to SAIL into you heart. I couldn't SKIP-per date like this, for a Valentine like you. 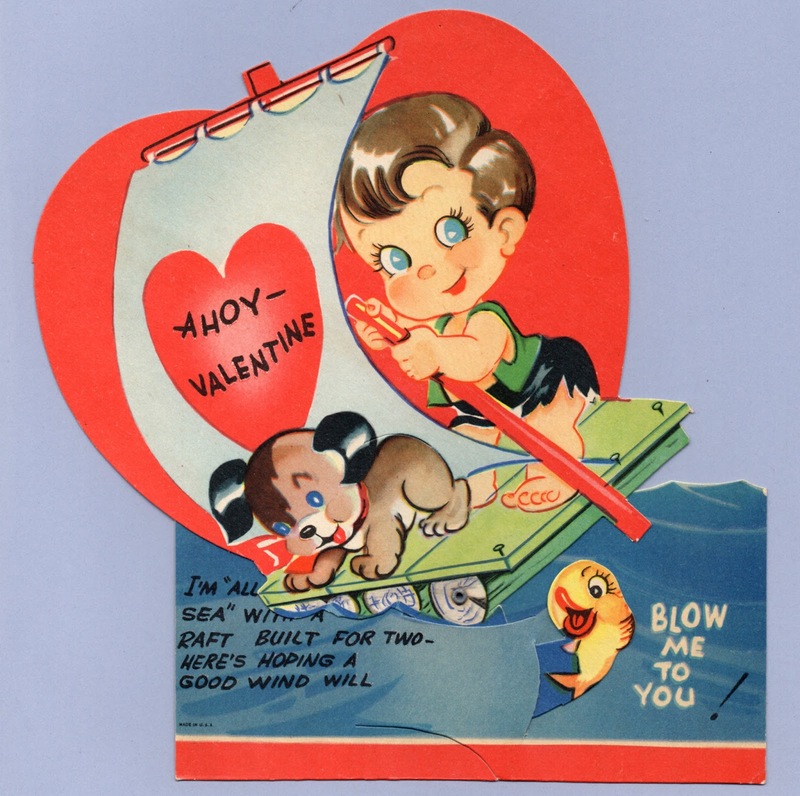 I'm H'anchor'ing for you, Valentine ~ I've an ocean of Love All for you, Valentine And you'd ought to come in - 'Cause the water's just fine! 3 3/4" x 5 3/8"
I'm all at sea Won't you be my Valentine? 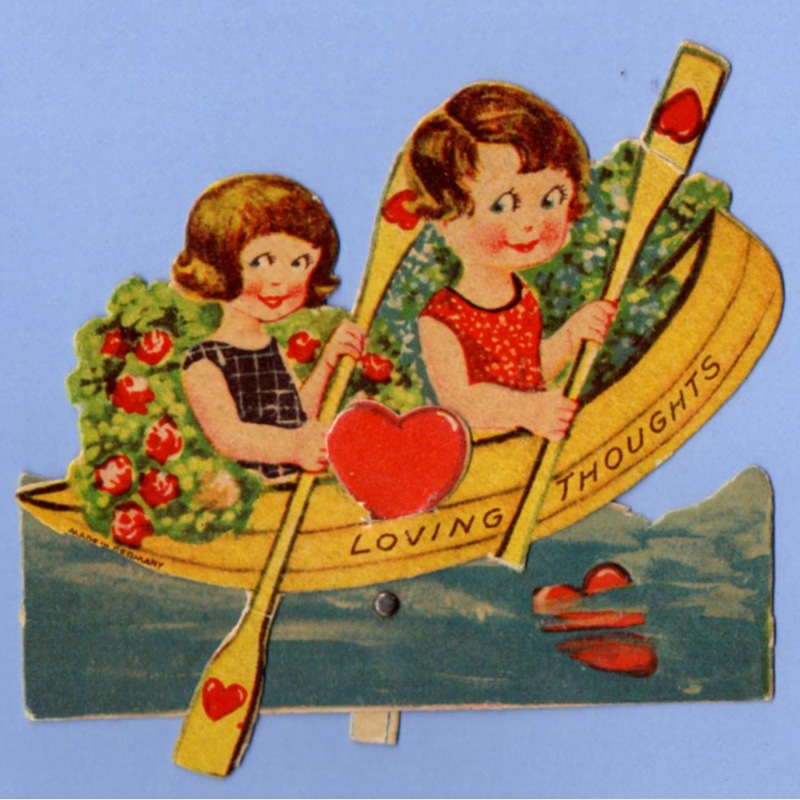 I ad-OAR you, My Valentine ~ So don't take the wind out of my sails. Be Mine! 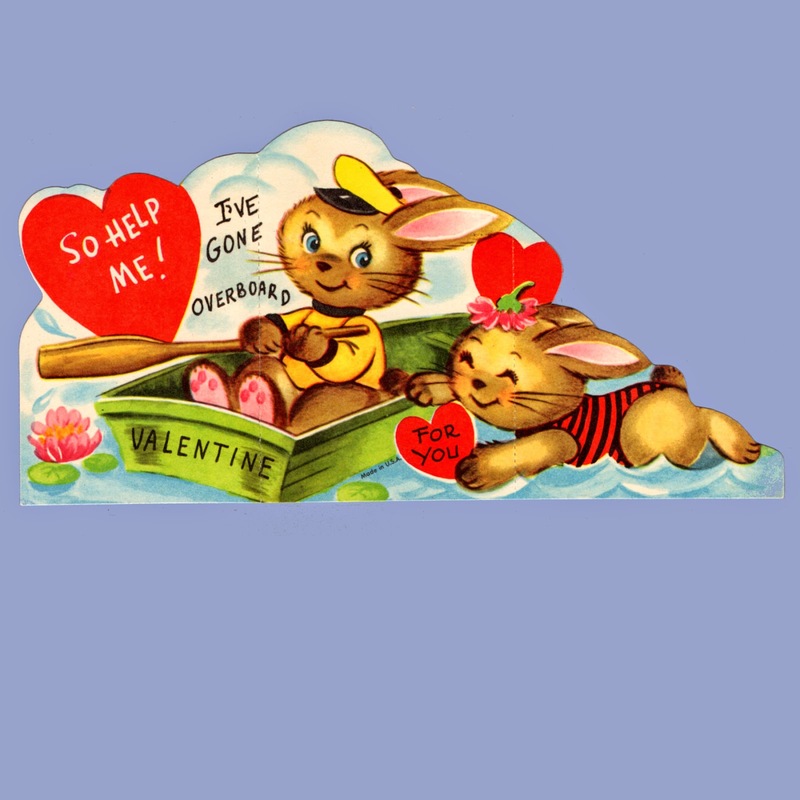 I'm PUT-PUT-PUTTING Myself Right into Your Heart Valentine! 5 5/8" x 3 1/8"
marked: P-917/4 Litho in U.S.A.
You're MOTOR me than I can say, Valentine. 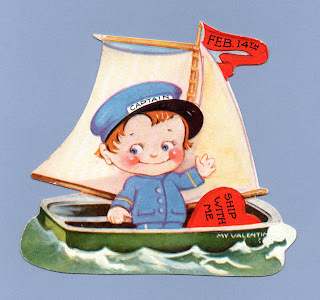 When you're looking for a Valentine Don't SKIP the SKIPPER. why not be my valentine. 3 5/8" x 2 3/4"
6 1/8" x 5 7/8"
You're my Sweetheart in Every Port. 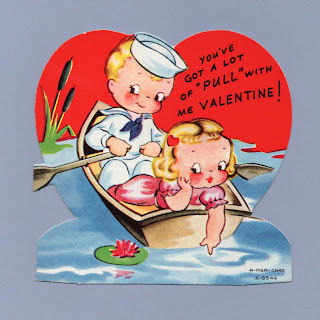 Sailor beware I want you for mine So row off with me my Valentine. 6 5/8" x 4 1/2"
Yes Sir! Blow Me Down I'll be all AT SEA without You My Valentine. So Help Me! 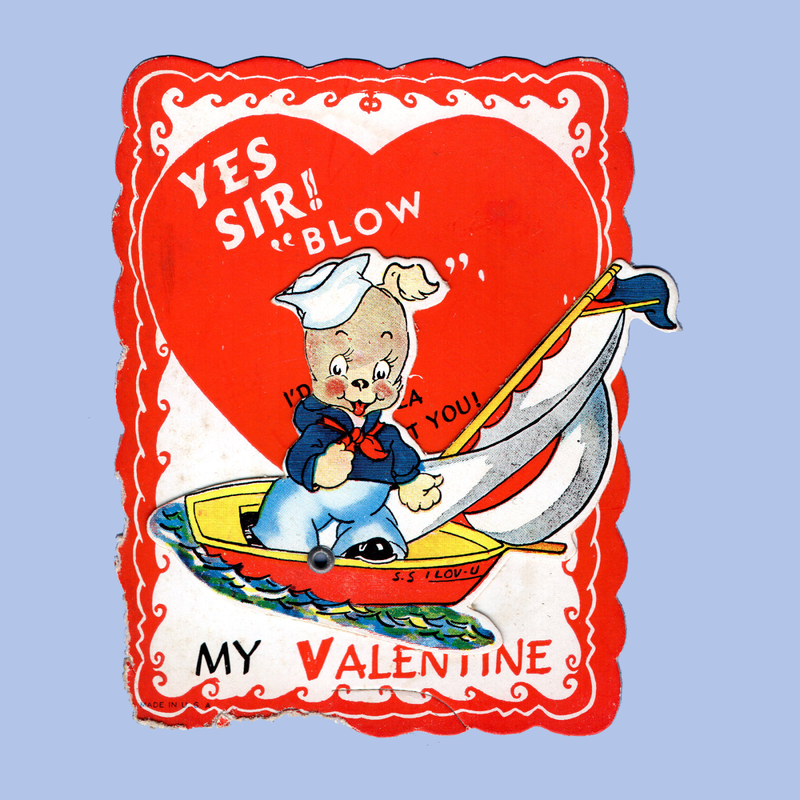 I've gone OVERBOARD Valentine for You. 7 3/8" x 3 3/4"
You've got a lot of PULL with me Valentine!